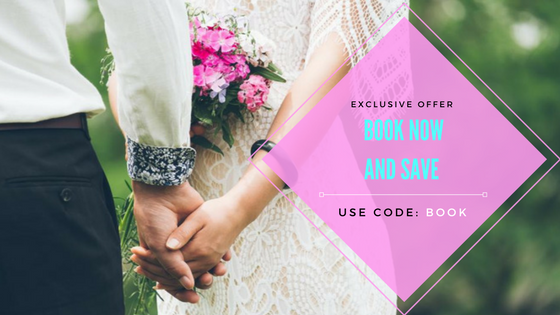 If you’re newly engaged, let the Wedding Salon congratulate you on finding your special someone and the beginning of a wonderful life together. What many people over look when thinking about planning a wedding is what day you want to get married. Many factors tie into the perfect date for your wedding so it’s ideal to be careful about choosing the right one. Maybe you two want to recognize your grandparent’s anniversary and choose the get married on that day or maybe the day you first met. Whatever the reason, people generally want to get married on a date the shows some value and signifies a significant part of their relationship. While restrictions on venue availability may make you choose an alternate date, you can still plan it somewhere around then. If you live in a part of the country, for example the Midwest, then winter may not be a great time to get married because of intense snow storms that could prevent guests, or even you, from attending your own wedding. Or, if you live in Florida then getting married outdoors in mid August will leave guests covered in sweat. Life happens and whether this is expected or unexpected the death or illness of a family member may be a consideration when planning your wedding. If this person is a significant part of your wedding party then consider their health and when would be an appropriate time to get married when they’re either still alive or healthier. Choose a convient day for your guests when picking a date. Planning a wedding on December 23 could be inconvenient for people who already have travel plans for the holidays or are scrambling to try to do their Christmas shopping and get ready for your wedding. If you want a wedding that is somewhere along the holidays then choose one that is a couple weeks away for the actual date of the holiday. The time of year you get married can play a toll on your wedding budget. Summer months like June, August, and September are the most popular so prices are the highest. A winter wedding in December, January, and March could save you money because brides are not lined up to get married in the middle of the winter. Was an unexpected pregnancy the deciding factor for getting engaged? Then you’re going to have to speed things up before the baby gets there or wait until she/he has arrived. This could also apply for a bridesmaid who is expecting and you absolutely need to have her in your wedding. If you want to newborn in your wedding photos then wait until they have been delivered, which might be easier on the mother. Your wedding date can also depend on the availability of photographers, caterers, and reception halls so be flexible and try to find a date that works best for everyone. While this is your special day, in this day and age convience trumps everything else. You can find other ways to keep the day special such as unique centerpieces, creative invitations, and engraved wedding rings.